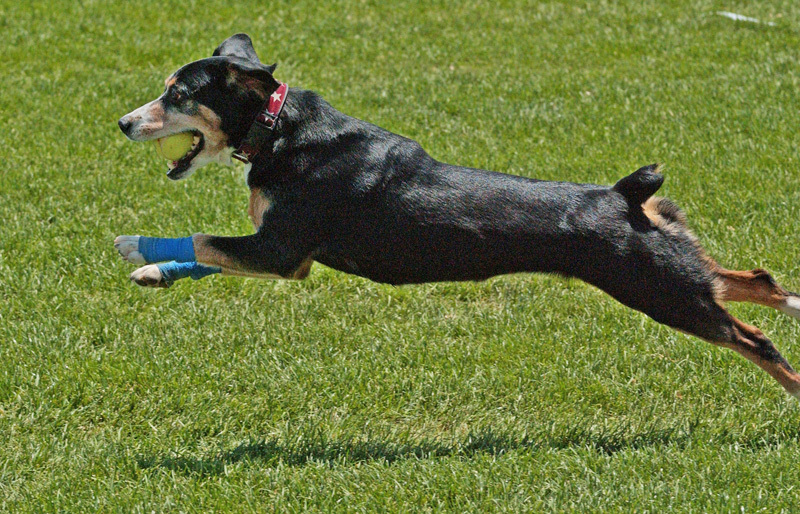 Penny may be a little Entlebucher Mountain Dog, but she's was a fast and furious racer  a real turnabout from when she came into the Madars' home at age 18 months. At that time, she was untrained and afraid of many new objects and people. 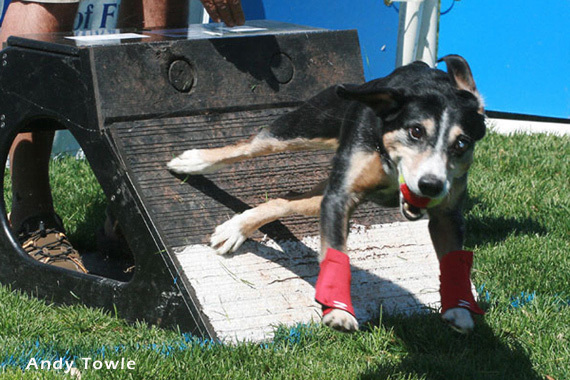 She took to flyball like a duck takes to water, and began competing after just a few lessons. 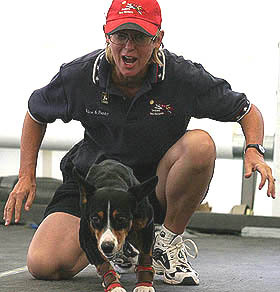 In February 2002, Penny and her housemate Lucky became the first two Entlebuchers to win flyball titles. 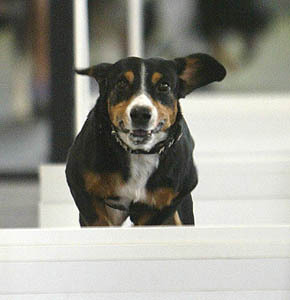 Penny is the highest flyball point-earning Entlebucher. 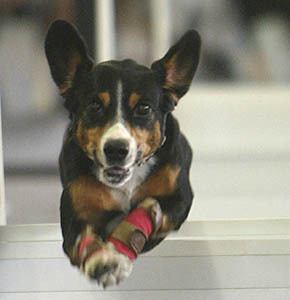 Although Penny earned titles in agility and herding, and she demonstrated high drive in both of those sports, her strongest passion was for flyball! In 2009, Penny was a key part of our Multibreed Championship team, and she earned the NAFA MVP award for Region 6. Unfortunately she lost her battle against cataracts and glaucoma, and went completely blind in late summer. Penny is still an active and cheerful greeter at Sedona Charter School, but she is sorely missed in the racing lanes. Even though she was tiny, Penny had the stamina and grit to run start for many years. Click the photo above for more start line shots. The box turn requires constant practice; click above for more box photos.